All you need to do is show us where to park and who to make the check out to. It's that simple! 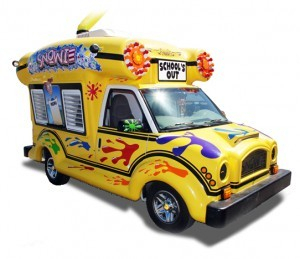 We'll show up in our amazing SNOWIE ENERTAINMENT VEHICLE and serve your kids in no time flat. 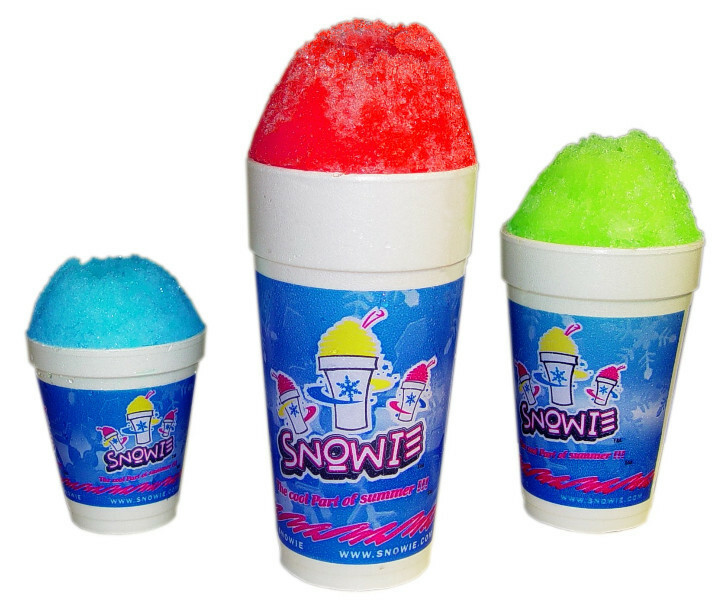 We'll serve each of them a cup of the finest shave ice. Then they will visit our self serve Flavor Station with ten of the most mouth watering flavors on the planet; to make thier own wild flavor creations. It doesn't get any better than that. After we do all the work and the kids have all the FUN we write the school a check for a portion of the sales that day. 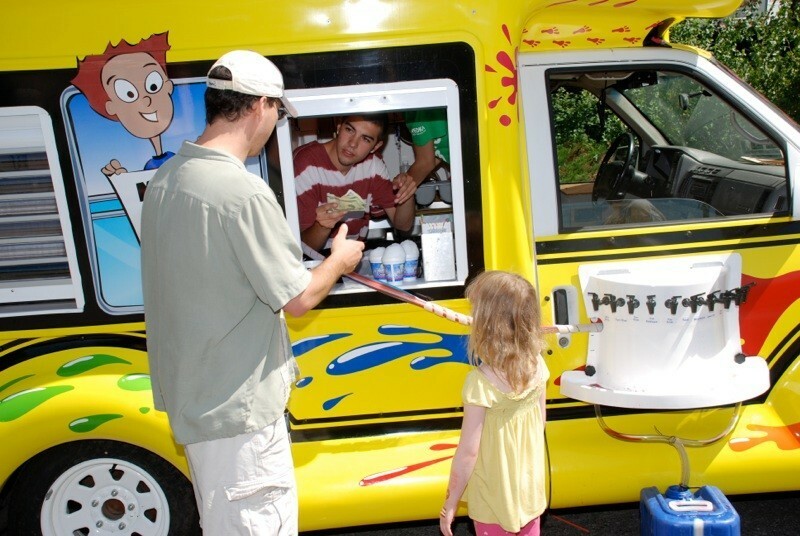 Everyone enjoys a delicious cool treat and the school gets money with no effort at all. It can be as big or small as you want it to be. You will reach your Goal while having fun and the staff and students will love you for it. Click on contact us and fill out the form and we will contact you or call Albert at 559-803-1779 he will answer any questions and book the event. Discover all we have to offer.Schedule early and often we cant wait to help your school reach its fundraising goals. Show us where to park and tell us who to make the check to. We will show up in our Snowie Bus and serve the school in no time flat. We will hand out a cup of ice and everyone will take turns adding flavor/flavors to the ice. They will have so much fun creating and tasting new flavors. It doesn’t get any easier than that. Well maybe it does... we do all the work and you have all the FUN! The school will receive a check for a percentage of the sales. Schedule us for regular visits so that we can help you reach you financial goals. Click on contact us and fill out the form and we will contact you. Or call Albert at 559-803-1779 he can answer all your questions and book your party.